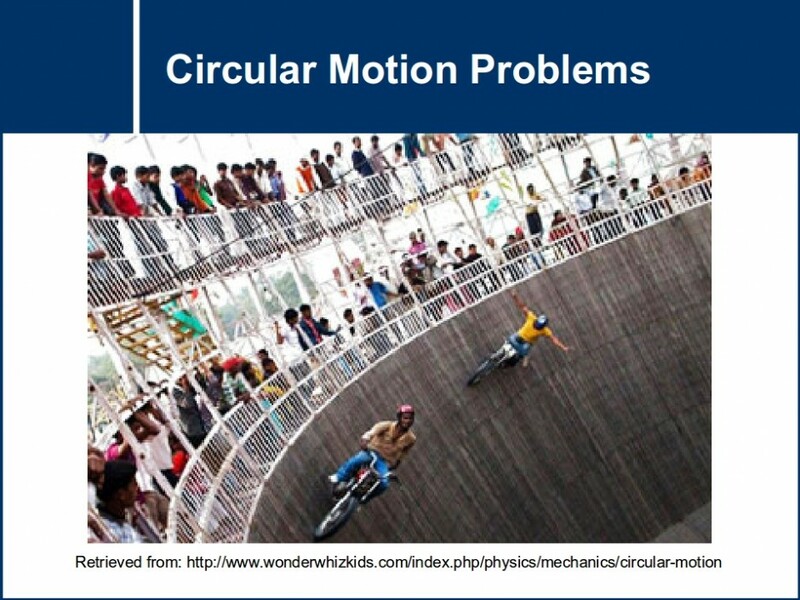 Additional problems - Explore the uniform circular motion of objects along the circumference of a circle or rotation along a circular path. 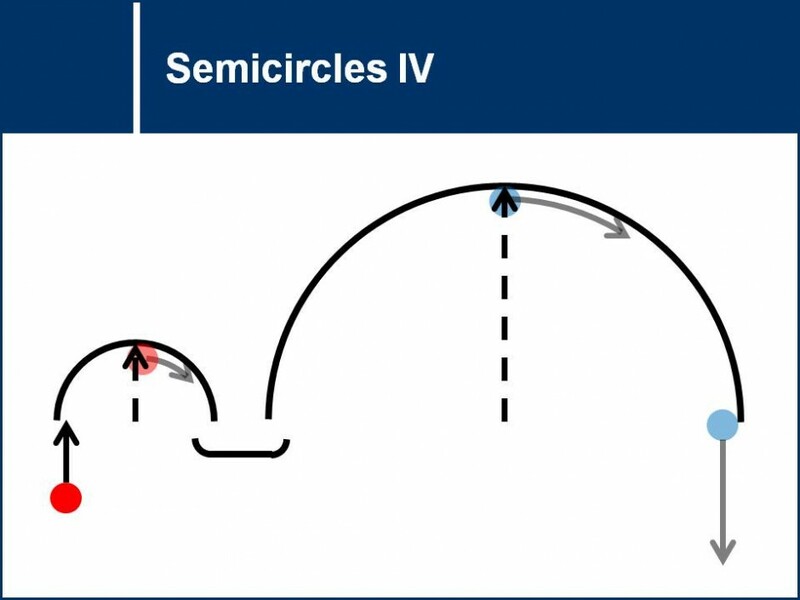 This problem set explores the momentum and energy present in balls travelling through semicircles and their relations to the semicircle's radius. 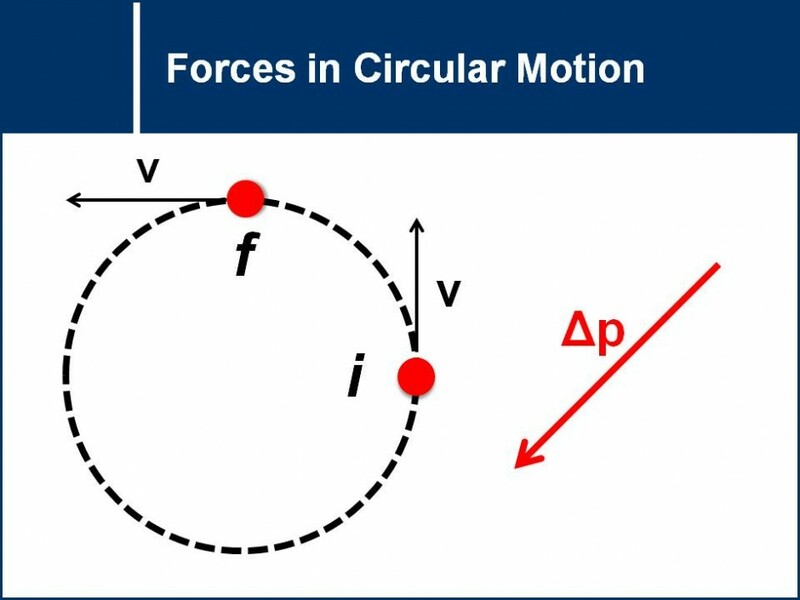 What are the forces involved when swinging on a rope? 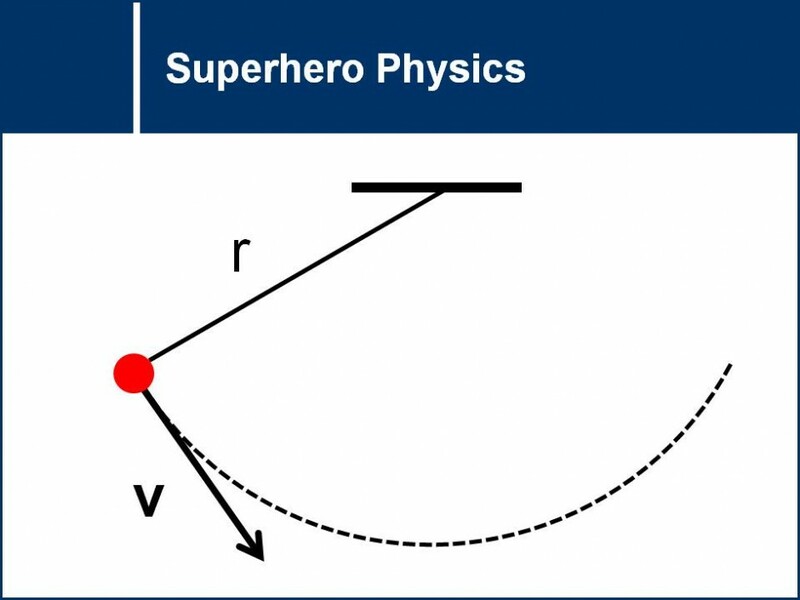 Free-body diagrams will be used to analyze the forces on a superhero as he swings from one building to another. This set of questions investigates the forces involved in changes of direction. 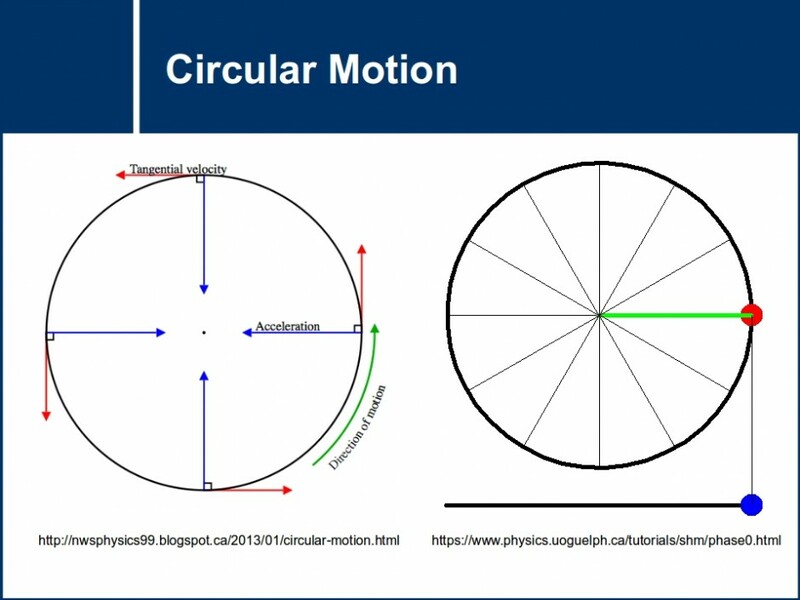 Conclusions about the direction of forces in circular motion will be discovered without the use of calculations or mathematical formulas.